NOTE: This list is not intended as endorsement of any of the following websites. You know about DailyKos, and The Huffington Post. Maybe you know about Mother Jones and Media Matters. But there are a number of liberal websites out there that could be influencing the national debate that you might not know exist. Size matters. But influence matters more. You might wonder why it matters to you - after all, they are liberal sites, you're not going to be reading them. The answer is that you need to know your opponent. Many of the arguments that you face, or will face, can be seen at sites like these before you hear about them in the media or face-to-face. 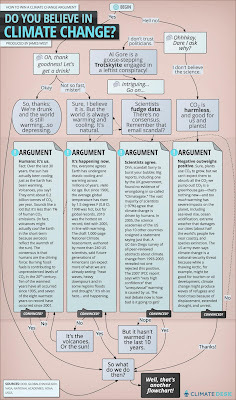 It gives you time to prepare a counter-argument to talking points you are sure to face. Then again, it might just give you a laugh. Here are 10 liberal agenda websites that you might not know about, that nevertheless hold sway in some way that deserves pointing out. These are in no particular order. (10) Climate Desk - a liberal climate change website, that has an opinion on everything even remotely related to energy - from wind turbines to China being ahead of the U.S. on climate change, to fracking, to wolves. The website's banner links it to some highly left-leaning high profile sites - Slate, The Atlantic and Mother Jones among them, and it leads directly to dubious stuff like this. Click to enlarge (and laugh). (9) Center for American Progress. They must have taken the "ives" off the last word. They cover every imaginable topic from gun rights violence to energy and environment (two issues they not surprisingly, group together). Watch out for their push on the new catch phrase buzz word (courtesy of president Obama) Middle-Out Economics. The slick presentation will convince many of those who pay little attention but happen to see the video and don't question the premise or the approach. Don\t watch this on a weak stomach or with an empty head. (It's sickeningly wrong and misleading). Seriously, the video was so rife with propaganda, it made my blood pressure rise. Thankfully only a little over 1000 visitors have seen it on Youtube, so there's that. Nevertheless, they realized that they could beat economics with demographics in the 2012 election if they pursued a focused approach, and Team Obama clearly did exactly that. We didn't see that on the republican side. Yes the argument about economics was the right one, but the GOP failed to engage in demographic modeling and targeted marketing efforts. (8) World Socialist Website. Don't go there, it's truly a waste of your time. The rhetoric is so far left, that you can't even try to converse with someone with such out-there viewpoints. Nevertheless , you'll be sure to hear some of their philosophy turning up in the 'august' works of Micheal Moore and his ilk. It seems that like journalism school, film school and art school preclude any attention to real economics classes. Yet somehow they have time to get all this socialism stuff in. (7) Democracy Now! brands itself as a news channel. It's a hard left organization that today is mourning the death of Hugo Chavez, yet is more than happy to deride the outgoing Pope and describe the church's structure as passe and argue that it needs to adapt "liberation theology". If that's not an agenda, and some Alinsky tactics at work, I don't know what is. I'm not a big fan of the outgoing Pope, he certainly couldn't fill the shoes of his predecessor, and the Catholic church is not without its problems. But to harbor an attack on the man is out of line. That is, unless you've got a progressive agenda to propagate. At 35:55 they launch into all of the negatives and then bring on Matthew Fox, who clearly has an ax to grind. They have no shame. (6) Al Jazeera isn't exactly a progressive organization, but by buying out Al Gore's liberal Current TV, Al Jazeera does have an agenda to promote an agenda of an Arabic-centric view of news around the world, with the American audience in mind. Al Jazeera has shared terrorist video and interviews on it's non-English network, and they are clearing coming from a place that is not truly aligned with the American principles of liberty and dissent. From that perspective they are promoting change in a way that could be described as progressive. As a conservative, I would not argue their opportunity to purchase the network, nor try to promote themselves or even their agenda, whatever it might be. That said, I hope they fail. An Arabic-centric viewpoint in America will only pull the anti-war left crowd even further left, having them pushing the U.S. entirely out of the Middle East and abandoning Israel in the process. For the record, in Canada, Al Jazeera has so far had little impact, though they pull no punches when it comes to criticizing Canada. Not exactly a reasonable portrayal in the linked piece. I am blaming President Obama and his administration for trying to be cute and clever rather than telling the public the truth about the economic crisis. The result is that the vast majority of the public, and virtually all of the reporters and pundits who deal with budget issues, do not have any clue about where the deficit came from and why it is a virtue rather than a problem. We also lost close to $500 billion in annual consumption spending due to the loss of the $8 trillion in housing-bubble-generated equity that was driving this consumption. This demand will also not come back. This creates a gap in annual demand of more than $1 trillion. The stimulus, which boosted demand by roughly $300 billion a year in 2009 and 2010, helped to fill part of this gap, but was nowhere near big enough. Furthermore, stimulus spending fell off quickly in 2011, and the stimulus is now pretty much gone altogether. This means that we are still faced with a huge hole in private-sector spending. So after arguing that the stimulus was too small, and that it's now used up, the author wants you to believe that the solution was to spend a lot more. But by pointing out that the effect were temporal, he's implying that the crazy level of deficit spending would have to continue, at a much higher level than it was at, to be able to keep the economy going. Wow. Talk about spend-yourself-rich thinking. There's no consideration given to cutting spending, creating business incentives and trying to drive up supply and demand in a natural, free market type approach. That's because it's completely outside of their thought processes. In fact, it sounds a lot like the White House in that regard. It's the type of thinking that espoused by many Democrats and it led to their losses in 2010. Unfortunately, it is a view still held by enough people, that the 2012 elections were a mini-rebound from 2010. (4) Common Dreams. This picture captures their entire way of thinking. It's a mentality that there is a massive cliff wall that separates the top 1% of the population from the remaining 99%. If ever there were a land of opportunity it is America - a nation where it is indeed possible to make something of yourself. That doesn't make it easy. It requires a lot of hard work, and some luck to make it. But it IS possible. I'm pretty sure that's not the case in most nations in the world, and those where it is possible, it isn't as easy as it is in America. In addition, that 99% metric is silly simply because there is no massive gap between 99% and 98%, or 98% and 97%. It's a bell curve of income. Those who are in the 50th percentile are pretty well off. In fact it's been argued that those in the bottom 10% are still better off than people in other nations or even wealthy people in history. Bill Whittle tells it well. I strongly urge you to watch that video first before continuing. Why the big preamble? Because when you watch this video from Common Dreams about wealth distribution (and re-distribution) you'll see the difference between a factual approach and a feelings-based approach to wealth. 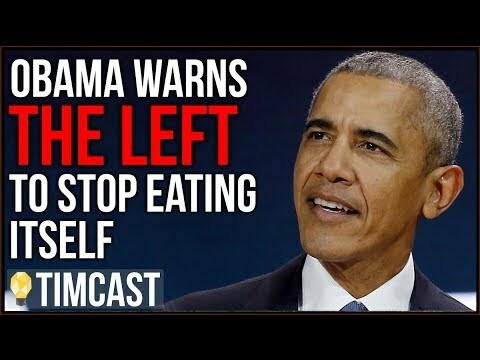 It's the sneaky way the left - from Common Dreams to the president - make it seem like right is on their side, when really it's only manipulation of your perception that is in play. What's important is their ability to present a slick, influential view of the world, and based on perception. Even if every visual they provide is 100% accurate, Bill Whittle's counter-point shows that "scraping by" isn't exactly what it used to be. 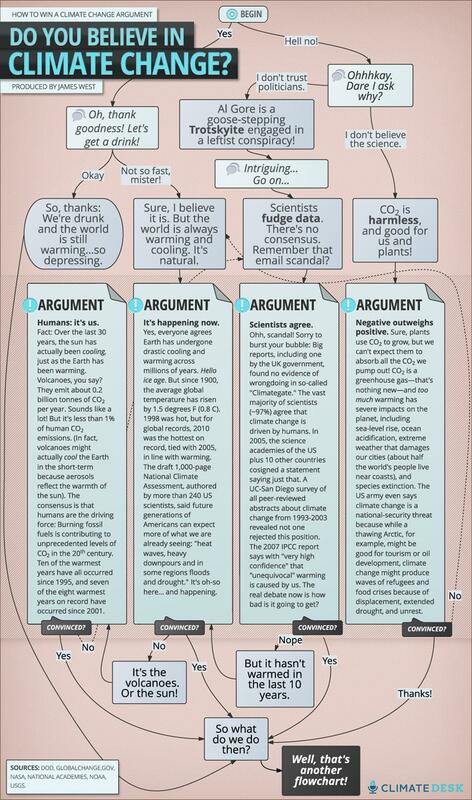 (3) ThinkProgress. You've probably heard of ThinkProgress. It's as progressive as it gets. But they put memes out there and hope that their version of the truth can take hold. Recently they posted a story about how corporations are artificially inflating the NRA's membership numbers. 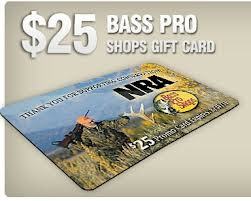 In the story they included a Bass Pro Shop discount for NRA members. Of course if you really don't want to be an NRA member you can bypass this coercive, 'evil' promotion and spend your own money - because clearly only government should be giving out freebies. Oh, and also, people can't think for themselves - they are going to all be duped into NRA memberships. If you want the coupon info, go here. I'm not sure if the deal is still being offered, but a search for the offer meant going to a number of bulletin boards because it wasn't on the Bass Pro Shop site as far as I could tell. (Let me know if that's not correct). (2) Talking Points Memo. The name says it all. Remember the JournoList? Talking Points Memo is essentially a JournoList for the liberal masses. It is fairly well known in the blogosphere but for the rest of society it's not really well known. Want to know how to treat the issues and apply liberal spin? Go to TPM and find out why GOP senators are praising Obama's outreach on a grand bargain for deficit reduction. Wait, what? That can't be real. But it is real - real spin that is. If it's about the president or a liberal it will be presented as all sunshine and rainbows, but if it's about a conservative or Republican, it's bound to be dirt. Talking Points Memo is the very definition of spin, and the very definition of how to spin for liberals. (1) Wonkette. Okay, Wonkette is reasonably popular and well known by those of us interested in politics (or not). I'm not sure her blog is all that influential though. Ad there are plenty of posts that simply use news reports as an opportunity to dive head first into name-calling or to pile onto the name-calling or to infer some name-calling. So what's the agenda? I guess to insult conservatives, a la Alinsky, incessantly. But hey, she's got an image of a woman in a Catwoman suit as part of her current logo, and who doesn't love that? .